The Bay Area Forensics League Meet took place on Wednesday, February 6. 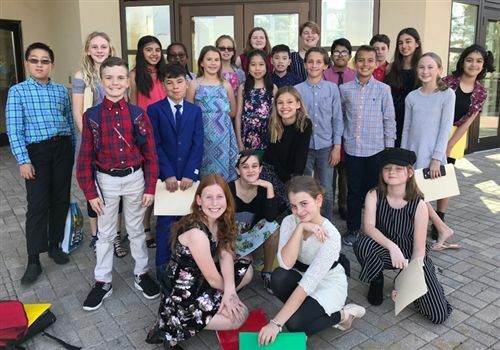 Twenty-five Shorecrest Middle School students, under the direction and coaching of Ms. Nelson, attended to compete in their speech and dramatic skills against other schools in the Bay area. Shorecrest students earned eleven trophies, including two first place trophies to fifth graders Simone H and Lauren K. Well done Forensics Team!